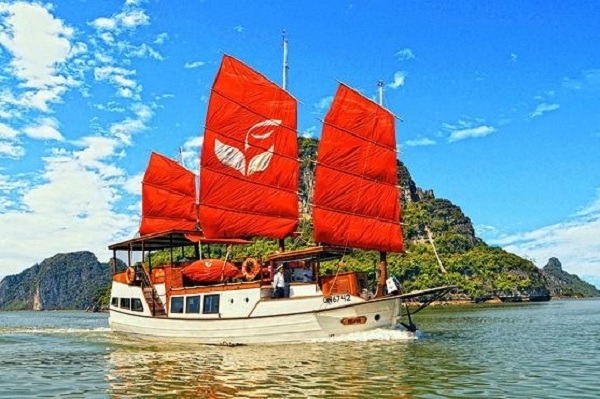 Yacht Calypso is designed for small spaces warm Yacht Calypso Halong for travelers who want to flee the everyday noisy find peace and enjoy floating on Halong Bay. 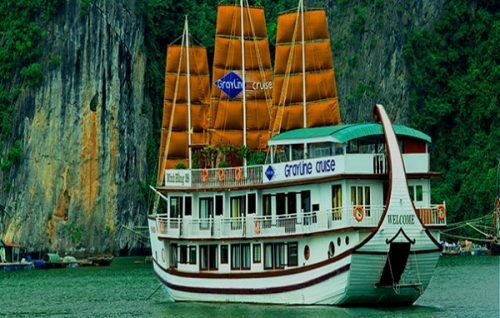 Trai great experience the beauty of the Gulf Calypso Cruise Halong same – the goddess of the sea, will surely give you unforgettable memories. 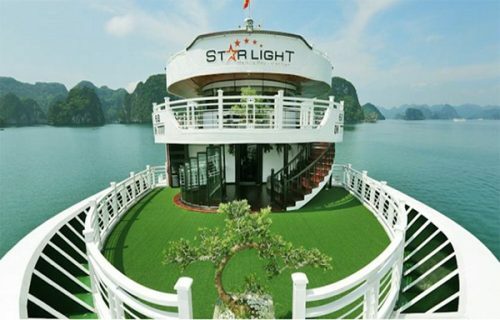 With luxurious interior, comfortable rooms and excellent service, overnight on yacht Calypso, you not only get to feel very personal about Halong Bay where you will have the opportunity to participate in many activities extremely interesting as karaoke, fishing, night squid fishing and kayaking. 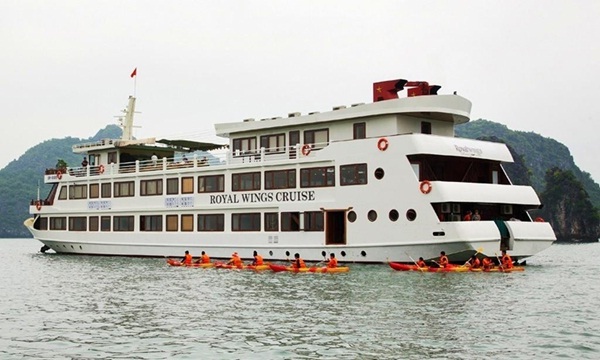 Halong Royal Yacht Wings is one of the 5 star cruise in Halong, Quang Ninh luxury launched in 2014, brings the colors of regal with three dominant colors in the interior: gold, red lipstick and Page. Appearance cruise on Halong Bay was painted gold, with two glowing dragon head at the beginning that ships in Halong Royal Wings swim dragon pair traveled on Halong Bay. 5-star yacht in Halong, Quang Ninh is the harmonious combination of modern and traditional, professional and subtle, natural and luxurious. Built according to international 5-star standards, this place is the ideal choice for anyone who wants to enjoy the full value of life. Halong Royal Wings will be the relaxing, excellent for your relaxation after a busy day. From here, visitors can easily reach vivid beauty of the vast ocean in a realistic way and the most interesting. With a yacht of 22 units, each yacht Life Heritage Resort Halong are 32m2 wide cabin design with local characterized. Wood-paneled cabins and ornate with large windows overlooking the water and the waves immense limestone islands many amazingly beautiful shapes of Halong Bay. With the Life Heritage Resort Cruise Halong, guests will be designing your own excursions, to get the experience interesting and most difference in this beautiful bay. A beautiful wooden ship under Asian style has 16 comfortable rooms, contemporary with traditional rattan furniture. 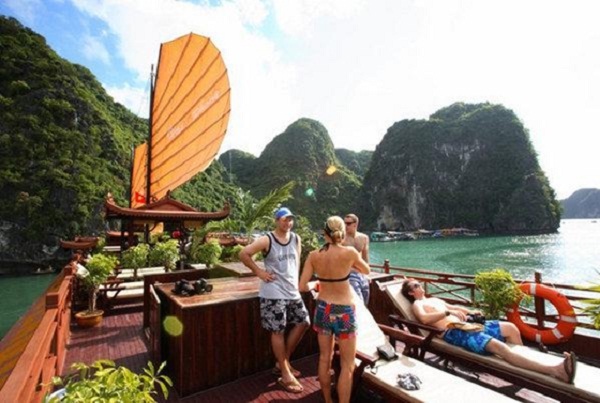 Oriental Sails has a special program for the majority of yachts in the bay (only for tour 3 days / 2 nights), which is to visit Lan Ha Bay and climbing equipment with European standards. 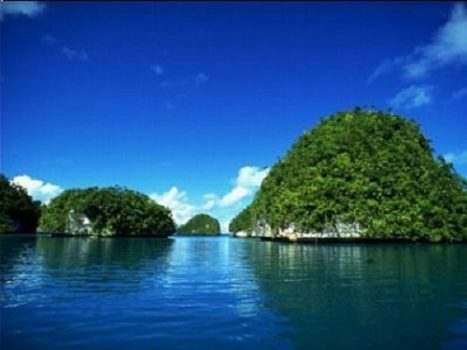 Besides being attractive destinations such as Sung Sot cave, Luon Cave, Ga Choi Islet, stone Dog, Ba Hang fishing village. Design window for each rooms, large windows in the restaurant with large terrace area helps visitors can see Halong Bay in anywhere on the ship. Oriental Sails also gives visitors the opportunity to join a lot of leisure activities such as kayaking, fishing and squid at night. Tour to visit Halong Bay Cruise is a unique form of tourism in Halong Bay, participating yachts programs tourists will feel the amazing beauty of Halong.